: the difference between the cost of buying or making something and the price at which it is sold The company has one of the highest/lowest profit margins in the industry. Note that preferred stock dividends are typically included in the calculation, but common stock dividends are not. Profit margin is one of the most analyzed numbers a company can produce, and it plays a part in many other financial measures. It is important to understand that profit margin is not a measure of how much cash a company earned during a given period. 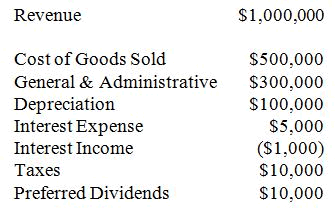 The income statement, and hence profit margin, typically includes noncash expenses, such as depreciation. It is also important to understand that changes in accounting methods can greatly influence profit margins, and these changes may have little to do with a company's actual operations. Changes in profit margins are the subject of much analysis. In general, low profit margins could suggest myriad problems, from inadequacies in customer or expense management to unfavorable accounting methods. However, some companies strive to minimize taxes and will therefore intentionally minimize profit margins. Profit margin varies greatly between companies and industries. Care should also be taken when comparing profit margin over time, as many companies and industries are cyclical. This is why comparisons are generally most meaningful among companies within the same industry, and the definition of a "high" or "low" net income should be made within this context. What made you want to look up profit margin? Please tell us where you read or heard it (including the quote, if possible).